UW Professor Philip Bell is the recipient of the 2015 Washington Science Teachers Association (WSTA) Teacher of the Year Award for Higher Education. Bell, who holds the Shauna C. Larson Chair in Learning Sciences at UW College of Education, is being recognized for the work he and his team have done to help develop and implement the Next Generation Science Standards (NGSS) with a focus on equity, in partnership with a network of organizations across the state and country. The NGSS represent a new vision for K-12 science education, encouraging students to make sense of natural phenomena and to learn how the “big ideas” of science relate to everyday life, community interests and contemporary society. 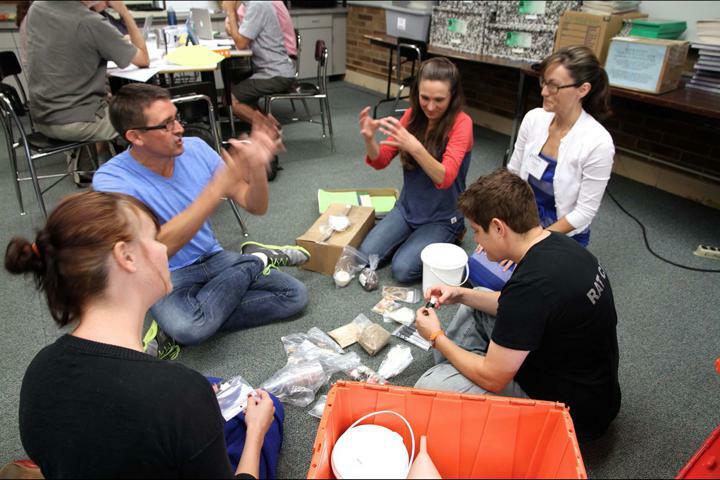 Washington state adopted the NGSS as the Washington State K-12 Science Learning Standards in 2013. The NGSS focus on engaging students in the practices of science and engineering (e.g., developing and using models) as students explore and apply disciplinary core ideas (e.g., ecosystem dynamics, functioning and resilience) and crosscutting concepts (e.g., energy and matter: flows, cycles and conservation). This integrated approach to learning concepts by engaging in practices can help students from all backgrounds become more scientifically literate and equipped to pursue the careers of their choice. “We need to develop models and tools that support an equity-focused implementation of this new vision, from the classroom to the state level. These models are essential to making educational and occupational opportunities more broadly available to all youth,” Bell said. Through many educational research projects over the years, Bell’s team at the UW Institute for Science + Math Education has collaborated with school districts and informal education institutions to implement and study this new vision. Bell and his team are in their third year of collaboration with Seattle and Renton school districts, where they have worked with hundreds of teachers to adapt existing curriculum materials to fit with the NGSS’ integrated approach to learning. Bell’s UW team has also launched a spin-off initiative to support broader implementation called STEM Teaching Tools, a set of short briefings designed to share teacher and researcher knowledge and on-the-ground lessons learned with others implementing the NGSS. Bell is a professor of learning sciences and human development and has directed the UW Institute for Science + Math Education for the past seven years. The Institute conducts equity-focused research and development projects in STEM education with a variety of partners and networks of educators. WSTA is a statewide organization dedicated to advocating and promoting quality advancement of science education. WSTA Teacher of the Year Awards are made annually at four levels: elementary, middle, secondary and higher education. As the recipient of this award, Bell will be honored at the 2015 WSTA Annual Conference, held in Shoreline on October 23-25.